‘Changing Partner’ has enough moments of genuine amusement to help paper over the cracks. Widely seen as Carol Cheng’s finest hour, ‘Her Fatal Ways’ manages to combine a number of qualities to create a very satisfying experience. It’s important to remember that this is nothing out of the ordinary though and, if you didn’t enjoy the original, it’s unlikely that you’ll enjoy this weaker sequel. The themes may have dated, but the opportunity to see Cheng and her three able co-stars play off each other is not to be passed up. 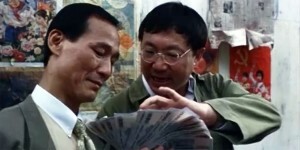 ‘Hero Of The Beggars’ is not a patch on ‘Security Unlimited’ or the many other classic Michael Hui hits, but it still achieves its simple edict of entertaining the audience. ‘I Love Hong Kong’ doesn’t steer too far away from the usual New Year hi-jinks – it is an entertaining 2011 release, but will probably not be remembered come 2012. 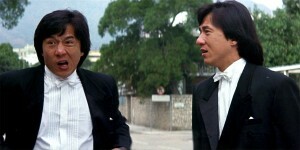 Although Sammo and Maggie rarely create any convincing chemistry, the film contains enough action and laughs to entertain most Hong Kong fans. ‘Pom Pom And Hot Hot’ is a film where a fast forward button is a necessity. Too much of the film is bogged down in very tired routines that drastically slow down the pace. There is actually some entertainment to be derived from ‘Truant Hero’ and it exists on its own strengths rather than being completely reliant on its influences. In truth, this is not a great movie, with nothing new added to the age old “separated brothers” story and some bad special effects.